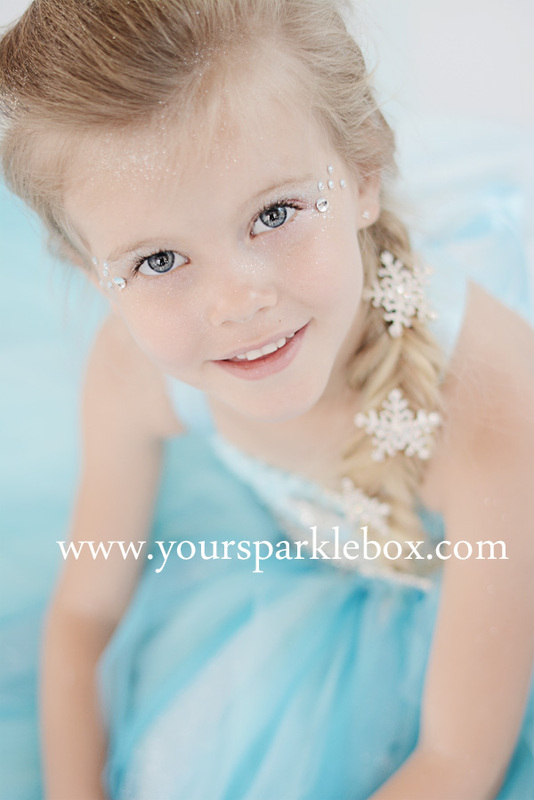 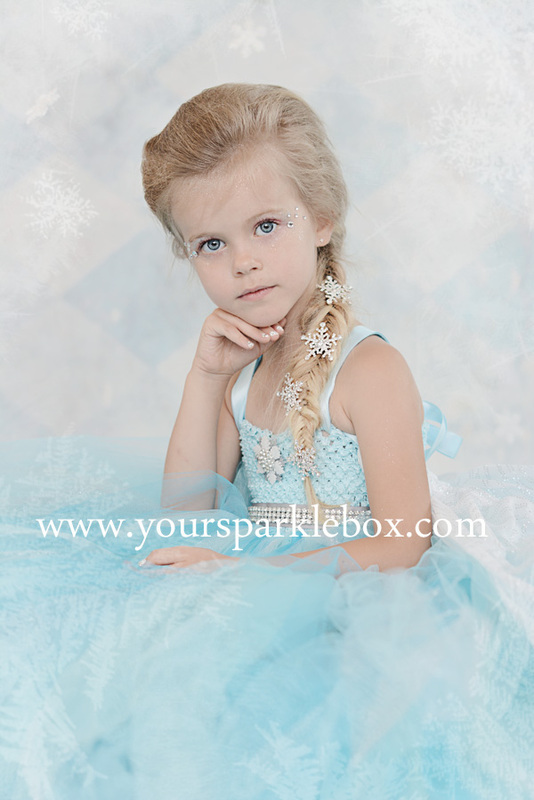 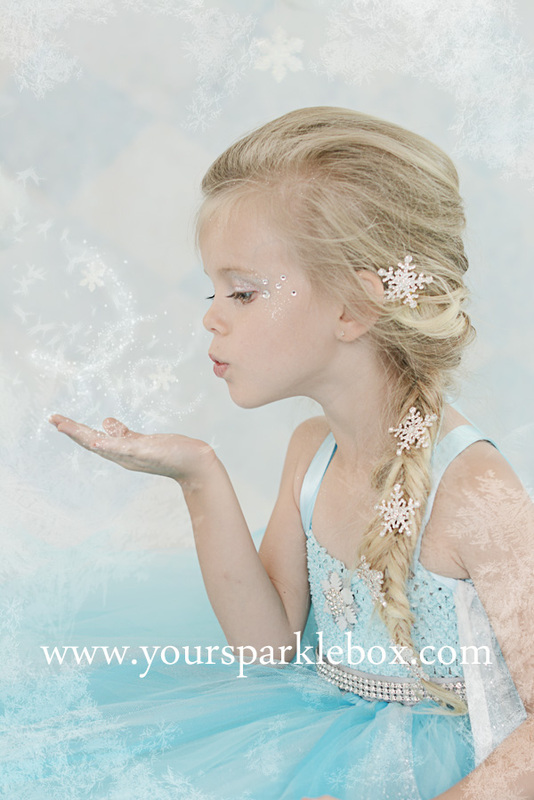 For all of my Frozen fans, here is a new design, Queen Elsa! 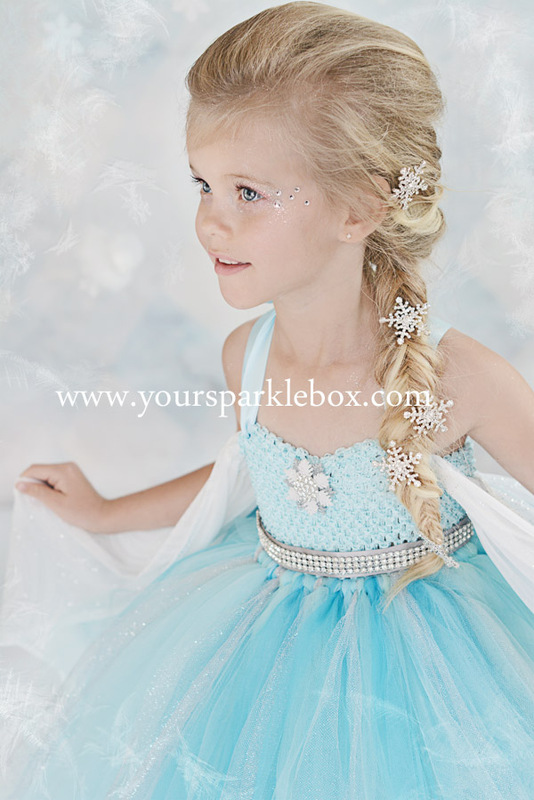 Her dress is made with a rainbow of blues, glitter tulle and a gorgeous snowflake brooch on her sweetheart neckline, along with a silver satin rhinestone belt. 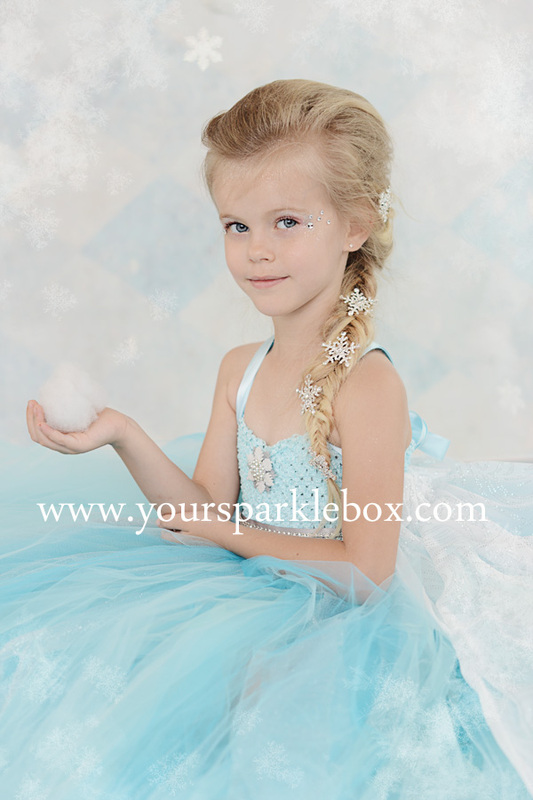 The optional cape is made from a soft, sheer material with swirls of rhinestone detailing,Â professionally finished and is removable.